Two Cuore di Bue Tomatoes + Two Marinda tomatoes: an amazing salad! 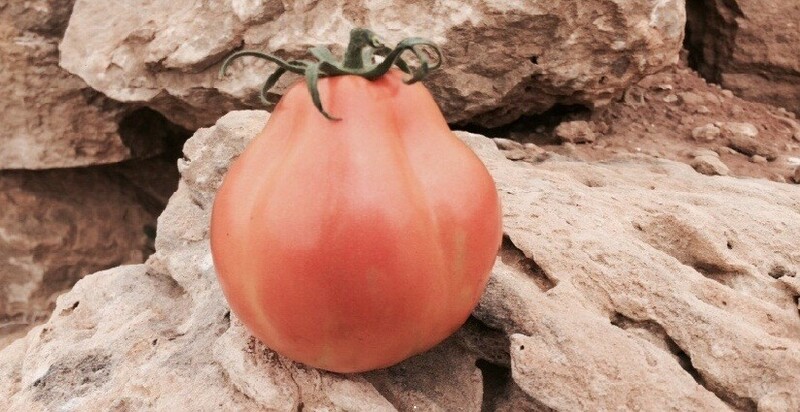 A “cuore di bue” tomato with a solid pulp also in full maturation. 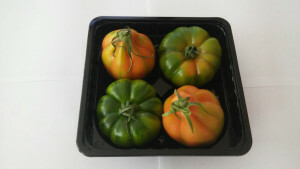 New tomato Mini Plum Pakyta by Naturalmente Siciliano. Pepè is arrived with a sweet and fruity taste . Pepè is a great ingredient that can make your dishes original and colorful. 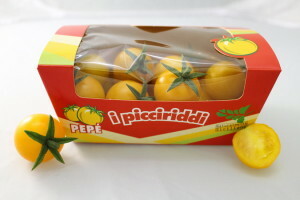 Crispy and tasty , this yellow tomato is part of ” i Picciriddi ” family: a line of cherry tomatoes with characteristic shape and taste which is approriate to eating fresh and fanciful . A new packaging for a delicious mix of delicate and refined tastes. 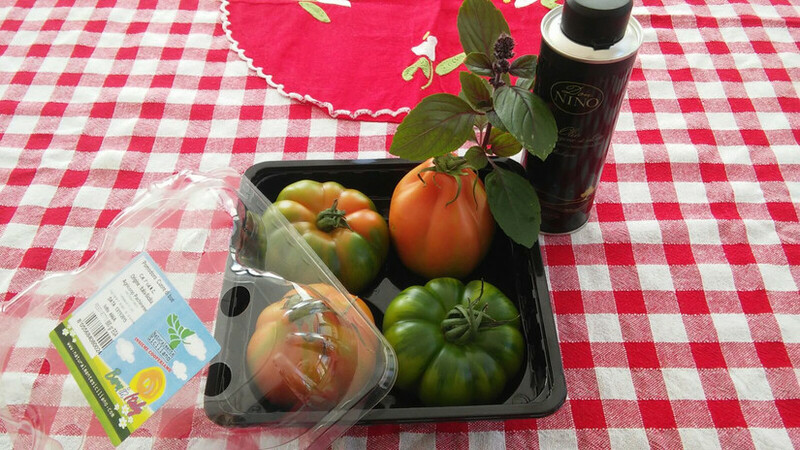 Naturalmente Siciliano proposes a package with four assorted tomatoes: two Cuore di Bue tomatoes, variety Volley and two Costoluto tomatoes variety Marinda. A Sicilian tomato salad unique that can surprise even the most demanding palates: the pulp of Cuore di Bue tomato, with a floury texture and a pleasantly aromatic taste, integrates itself well with the intense, sweet and persistent taste of Marinda one. An amazing combination that only requires a good extra virgin olive oil and a few leaves of basil. Scritto il November 17, 2015 Lascia un commento su Two Cuore di Bue Tomatoes + Two Marinda tomatoes: an amazing salad! Our “cuore di bue” is a tomato with a weight that can surpass 300 grams, with a pale red color that sometimes turns to orange. It presents few seeds and has a sweet taste with a trace of acidity. Its perfume is typical in full maturation that send to herbaceous fragrance. 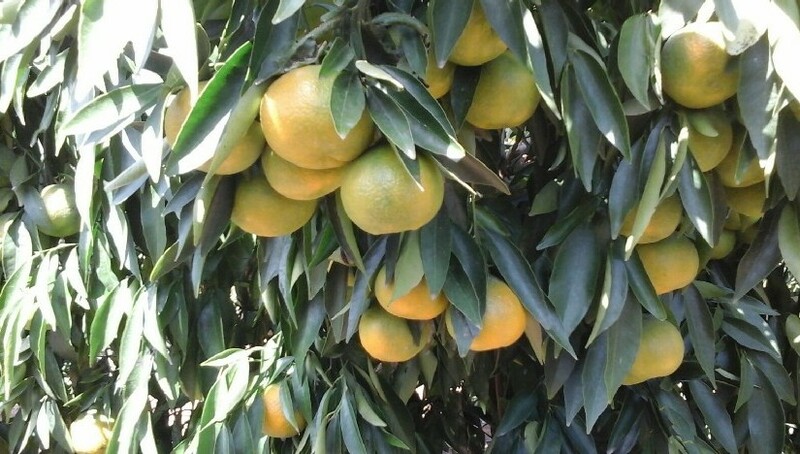 Its peel is thin, the pulp is solid and rich in juice. It doesn’t lose solidity during the maturation and doesn’t present a high break at the bottom. Scritto il October 21, 2015 Lascia un commento su A “cuore di bue” tomato with a solid pulp also in full maturation. 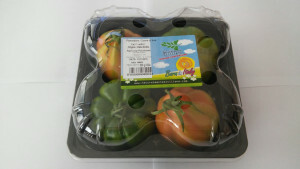 The production of Mini Plum has begun: a new tomato snack of Naturalmente Siciliano range. The variety selected is “Pakyta”, which presents a crunchy and tasty pulp, a regular bunch, elegant and herringbone. Fruits are about 35-40 grams, they present a brilliant red color and they have an high resistance to cracks. Scritto il October 20, 2015 October 20, 2015 Lascia un commento su New tomato Mini Plum Pakyta by Naturalmente Siciliano. The 4th and the 5th of October 40 chefs will cook our aubergine Olivia in many different ways. The recipes will be grouped in a recipe book that will be insert in the packagings of the aubergine Olivia. The citrus campaign begins with an originality. 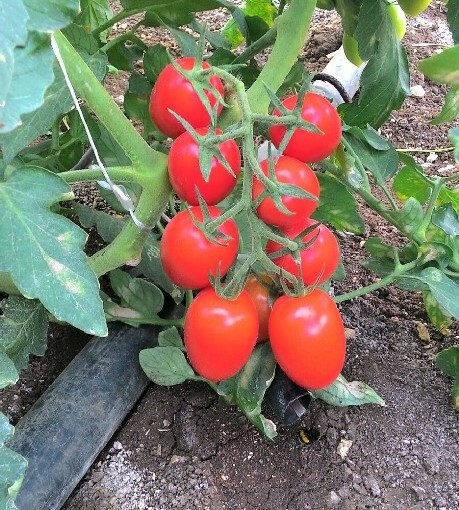 An important surprise this year: we have realized in protected farming, the Monreal, with an amazing taste which present organoleptic and physical features similar to those in full campaign. Scritto il September 16, 2015 Lascia un commento su The citrus campaign begins with an originality. 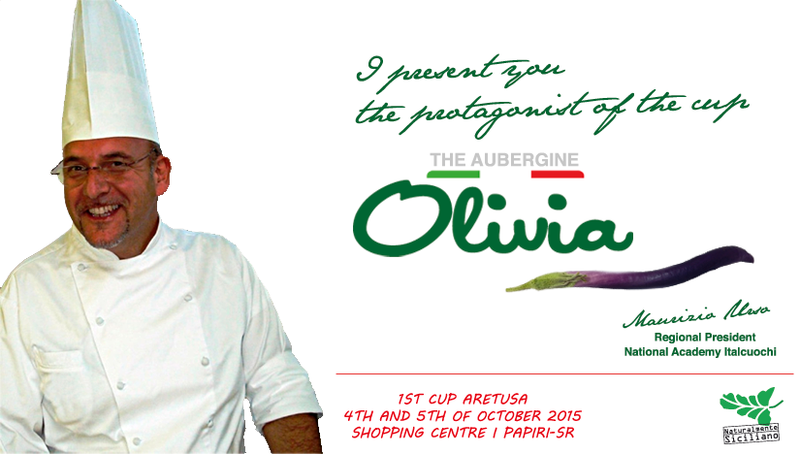 1st Trofeo Aretusa: the aubergine Olivia as protagonist. 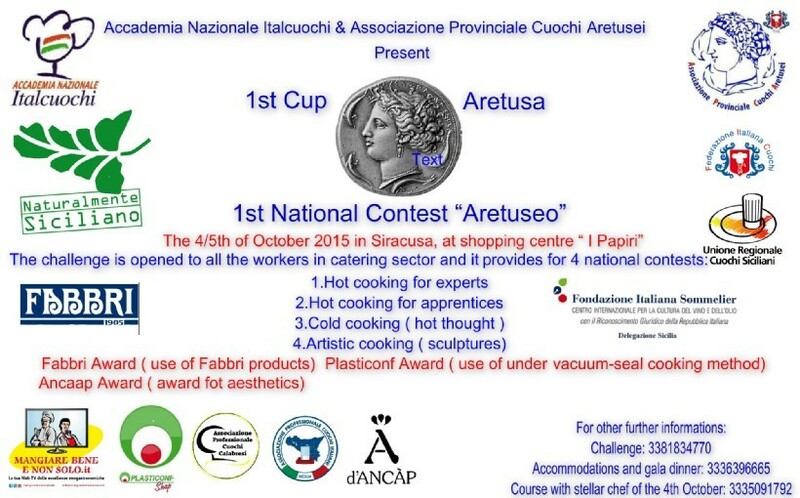 The Consorzio Ortofrutta Sicilia sponsor of the initiative 1st Trofeo Aretusa. Tens of chefs coming from all Italy will compare cooking the Naturalmente Siciliano products and in particular the aubergine Olivia. 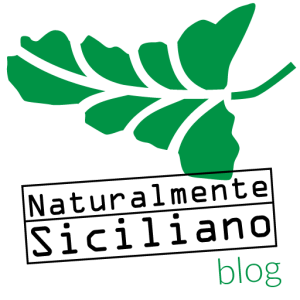 Scritto il September 15, 2015 September 17, 2015 Lascia un commento su 1st Trofeo Aretusa: the aubergine Olivia as protagonist. 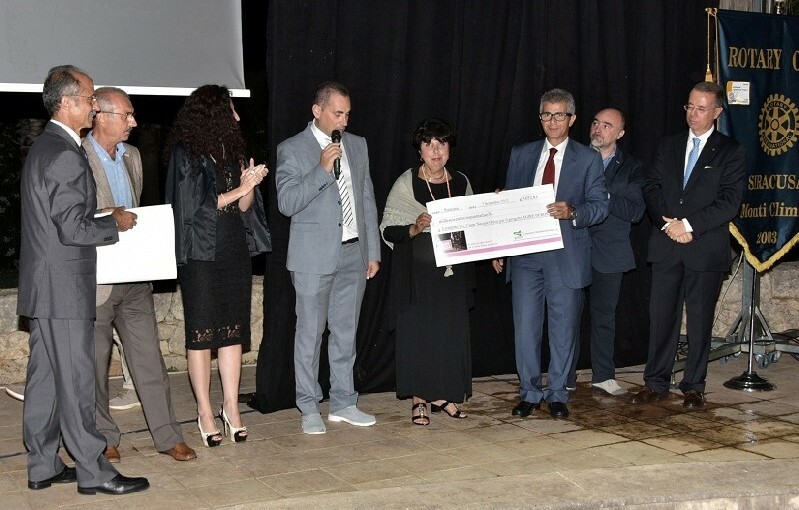 In occasion of the EXPO Solidale, organized by Rotary Club Monti Climiti, the President of Consorzio Ortofrutta Sicilia, Gaetano Mancini, has consegned a check to the cooperative Leonardo and to the association La Nereide, as the profit of the project “Agire in Rosa”. Now women victim of violence will have an help desk dedicated to them in Pachino.